Head into the forest and along the Coral Creek to a lunch spot overlooking the entrance of the canyon and the broad valley above. Depending on the group and snow conditions we may follow along the canyons or head into the forest where the snow is deeper. Either way, hot chocolate and treats will be waiting for us at the trailhead. 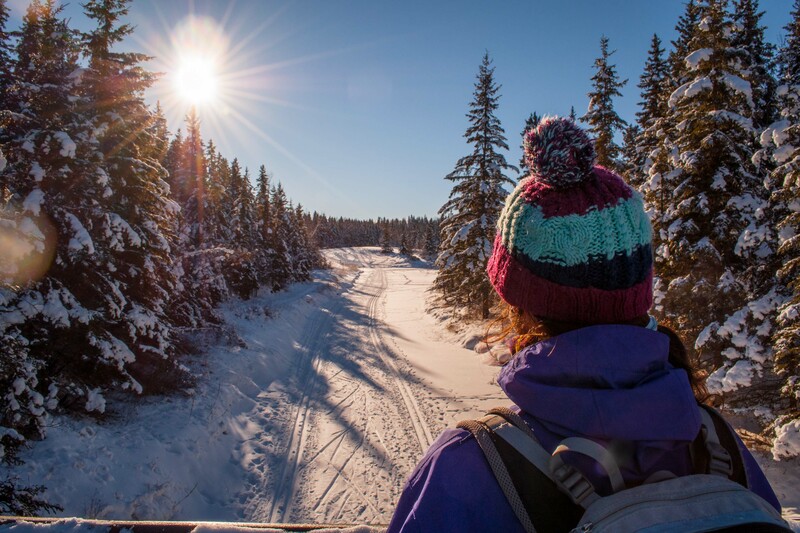 Lunch, hiking poles, snowshoe rentals, ice cleats, a professional guide and transportation from Red Deer, Rocky Mountain House or Nordegg are all included. Experience the David Thompson Country in its most magical season. Snowshoe on a moderate trail in a scenic area. This day trip is open to all ability levels, whether you are a beginner and or an expert. You must be comfortable walking 7+ km in a variety of conditions. This tour is recommended for those 13 or older.